Two weeks ago I went to my local tea shop, Tea Market. Another summer blend that I wanted to try was Double Mint. After all, what sounds better on a hot day than a cool glass of mint iced tea! 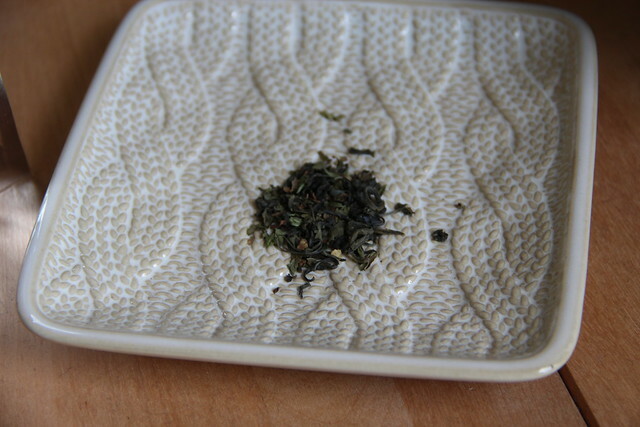 The Double mint blend is a blend of peppermint and spearmint. 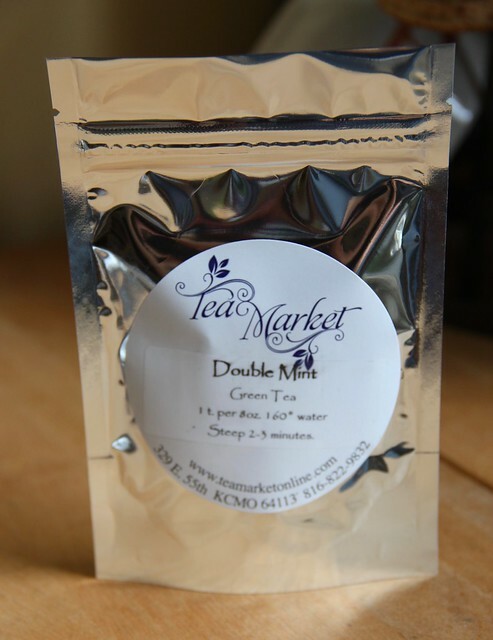 I bought the seasonal sampler with 5 teas for $20, but you can also purchase the Double Mint tea for $4.70 per ounce. I brewed the tea hot at work and then poured it over a tumbler of ice. I added just a bit of sugar. The tea was strongly minty, but cool and refreshing. Again, I like mine with a bit of sweetness, but I think this would also work without as well. Maybe even a fresh mint leaf if you have some?